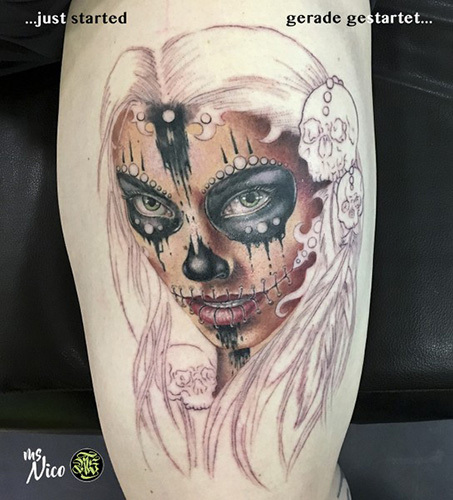 To give you a behind the scenes impression of a tattoo developing, here’s a fresh La Catrina after the first session with Miss Nico. Inspired to your own tattoo ideas? Drop us a note.